Owning a 30-2 record and a Southeastern Conference title, Mississippi State joined Baylor, Notre Dame and Louisville as No. 1 seeds for the 2019 NCAA Women’s Tournament, announced on Monday. This is the second consecutive year the Bulldogs earned a top slot in the tournament. Mississippi State posted an average margin of victory this season of 28.3 points. Its success is predicated on wearing teams down inside, led by senior center Teaira McCowan, who averages 17.8 points and 13.5 rebounds per game. Leading the Bulldogs is seventh-year head coach Vic Schaefer. His team went 13-17 his first year in Starkville, and each year since has been better than the last. He’s built the program into a national powerhouse, as Mississippi State reached the title game each of the past two seasons. 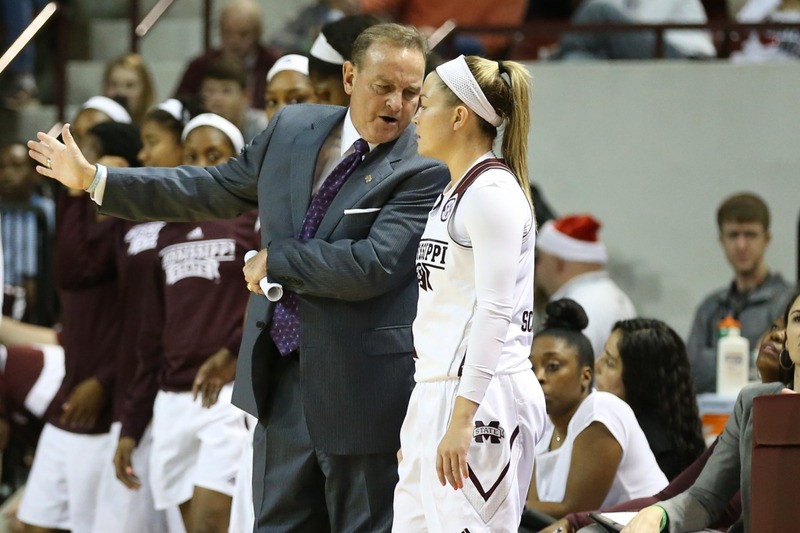 Schaefer was named the 2019 espnW National Coach of the Year and added his third SEC Coach of the Year honor. This follows on the heels of a Naismith Women’s College Coach of the Year award last season. Schaefer drills into his teams the importance of preparedness, accountability and honor each time they take the court. He seeks perfection from his players, yet they know he truly has their best interests at heart. As his players lean on his leadership, he leans on the Lord. He says Colossians 3:23 is very important to him and helps him translate his faith into his coaching on the court. Knowing that his work is for the Lord and not to please people frees Schaefer to coach with all his heart and energy, and allows his players to play with the same intensity. That determination and selfless play has led the Bulldogs to two straight title game appearances. This year, they aim to close the deal and take home the program’s first national championship. Mississippi State begins tournament play Friday in its own arena against No. 16-seeded Southern University.